So, the time has come for the last post about Dolce Gusto pods (previous ones you can find here and here). And this part is supposed to be the most interesting because we will devote it to the tastiest coffee beverages of the Dolce Gusto series. Before we start (or go on) let us mention that Dolce Gusto is not the only single-serve coffee brewing technology. More about pod brewing systems you can learn here ― it will be rather interesting. 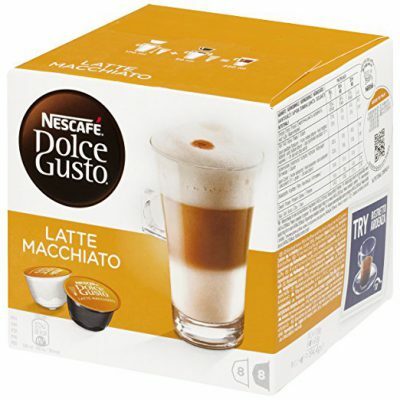 If you are looking something special, something that will become more than unusual ― try Dolce Gusto Latte Macchiato. This is not a beverage for breakfast, it is a drink for the leisure time when you can be sure, that you have nowhere to hurry, and have some time to get a pleasure. Milkier than cappuccino this stylish little number with delicious layers is an upside-down latte where a rich full bodied espresso sits on top of the milk and is covered with hot and thick frothy milk on top creating a distinctive layered effect. A delicate dot of dark crema adds a finishing touch and its signature mark. A perfect warming treats for sweet-toothed coffee enthusiasts as a dessert or an afternoon drink. If you are trying to keep fit and count every calorie coming to you with the food and beverages, then Skinny Latte Macchiato was created for you. 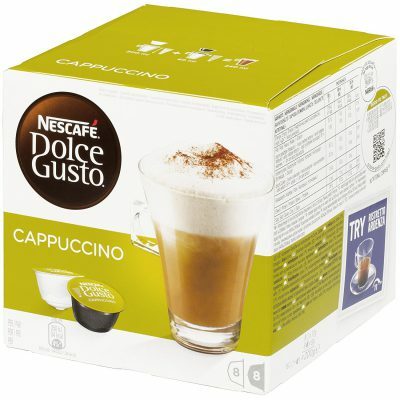 It is a perfect coffee beverage with low fat and sweet. A top layer of frothy steamed milk leading to a smooth and full-bodied espresso. A signature upside-down layered latte with a distinctive dark crema dot on top. However, this type of Latte Macchiato is low fat (less than 1% fat) and unsweetened, containing only 50 calories per serving, making it an irresistible treat for those who want to enjoy this popular drink without feeling guilty about it at any time of day. 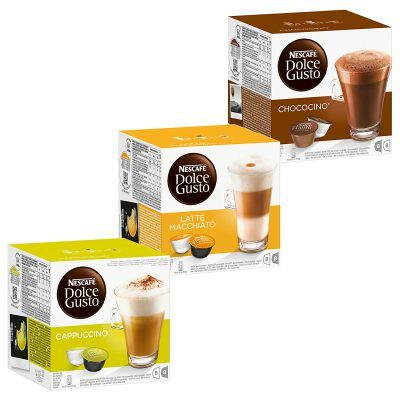 If you are a kind of the sweet tooth, try this type of the Dolce Gusto pods. It’s perfect in both ways ― the coffee strength and caramel taste. A latte with a style if you’re going for something unique. A smooth frothy milk sweetened by a layer of full-bodied espresso with a dash of creamy caramel flavor to create this deliciously unforgettable composition for coffee enthusiasts and caramel lovers alike. The top is crowned with a signature dark crema dot. This inviting drink is ideal for people who doesn’t like coffee but love the coziness that comes with the caffe latte with a bit of a twist. Do you like soft and very special vanilla aroma? 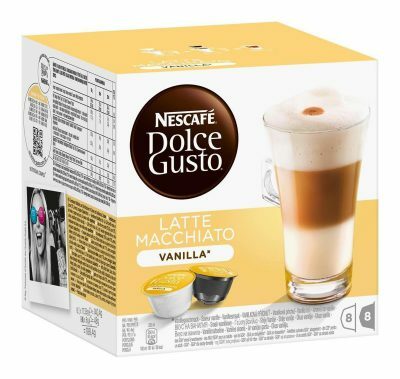 So, you have to try Dolce Gusto Vanilla Latte Macchiato pods. It is a beverage for the sweet tooth with the full blend of sugar, vanilla powder, and, of course, perfect coffee. When you’re looking for something special, a vanilla-infused Latte Macchiato might be worth a try. A rich full bodied espresso shot with a thick frothy milk and a dash of dark crema create this signature upside-down latte looks but with a little twist of vanilla. A warming dessert to savor is a must-try for the sweet-toothed coffee enthusiasts. 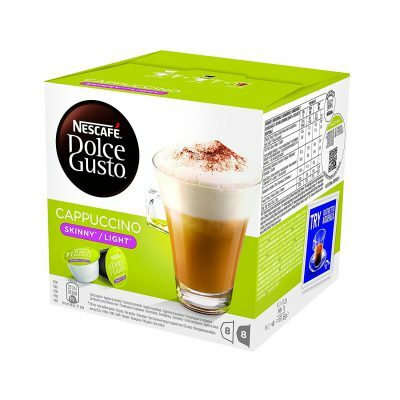 If you are cappuccino fan, take a notice Dolce Gusto Cappuccino it is a real cappuccino with its typical tender taste and milky aroma. Oh, and foam, of course. A splendid infusion of deliciously dense milk foam with a shot of full-bodied espresso, where opposites of light and dark form a truly classic drink that’s been popular among coffee enthusiasts for quite some time. The richness of espresso combined with gentle milk foam and delightful milk, make this coffee ideal for savoring at any time of day. The dark roast taste is balanced with soft milk and a dash of sugar, requiring no barista to enjoy this treat at home or at work. It is the same Dolce Gusto Cappuccino but sugar and fat-free. Try it if you are keeping fit. As perfect as this frothy steamed treat was, it got even better. This type of Cappuccino is fat-free and unsweetened, containing only 50 calories per serving, making it a delicious indulgence for those who want to enjoy this popular drink without feeling guilty about it at any time of day, and the best part is – now you can do it at home. It features a top layer of frothy milk low in fat that leads to a rich and full-bodied espresso, as intense as the original only fat-free. Enjoy this gentle, milky texture and well-roasted aromatic coffee over and over again. 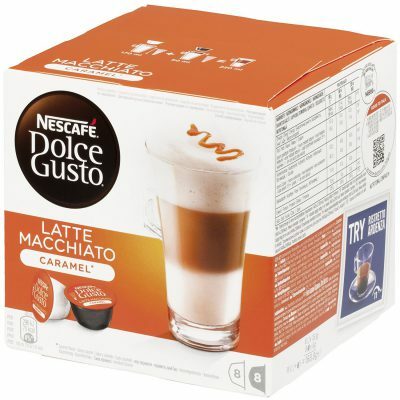 So, now you have the full review of the Dolce Gusto coffee pods and can enjoy their amazing taste anytime you like it. 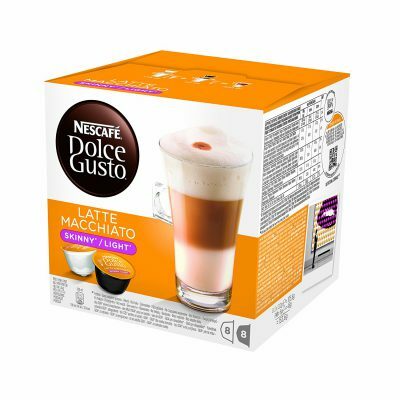 We have al review of Dolce Gusto Mini Me coffee machine. Also, you can learn more about single-serve coffee machines in this post. What to do if your Mr.Coffee sopped working?